From Kongsberg in Buskerud, he had his roots in the municipality of Flesberg, Numedal. Leif's father played the hardanger fiddle, too, so he was steeped in the round dance tradition from an early age, and became a fiddler through the influence of Ole Naerlieie (1887�1955). 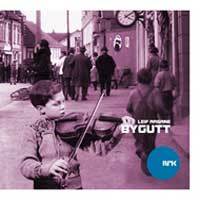 This is a collection of recordings made by NRK (Norwegian national radio).